Colbrow Medics has employment and job opportunities for Medics to apply their skills in the field gaining invaluable exposure and event first aid experience in a large range of scenarios, settings and locations, including Melbourne, Sydney, Brisbane, Adelaide, Canberra, Perth and Hobart. 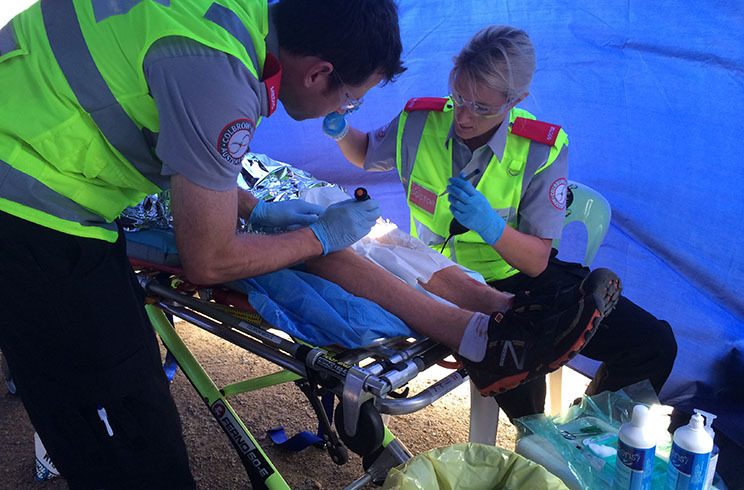 First Aid Medics will provide emergency first aid response and first aid at events to a range of injuries and illnesses in accordance with Colbrow Medics Clinical Practise Guidelines. Medics are required to hold a minimum of Provide First Aid Certification (Level 2 First Aid) and/or Advanced First Aid Certification (Level 3 First Aid). Preference is for those Medics who have undertaken Advanced First Aid training through St John Ambulance and can demonstrate ongoing clinical professional development, however we will consider applicants who have obtained their qualifications through alternative training schools or institutions, such as the Red Cross or the Australian Paramedic College. Paramedic and Nursing students are welcome to apply for a position with minimum certificates. All Colbrow Personnel must hold a current Police check (completed within the last 12 month) and Working with Children check. Colbrow Medics will only employ potential Medics who have a proven track record of reliability, teamwork, integrity and flexibility.